Federal aid now available to Alaskans affected by Nov. 30 earthquake. Here’s how to apply. 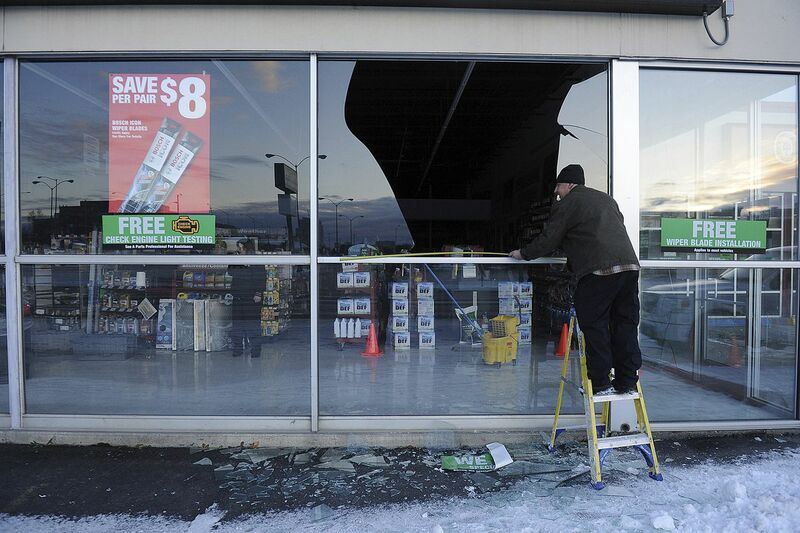 Alaska residents and businesses with property damage from the Nov. 30 earthquake can now apply for federal disaster aid and loans to help recover losses. The aid, authorized by President Donald Trump through a major disaster declaration on Thursday, includes grant money for temporary housing and home repairs and low-interest loans to cover uninsured property damage. Trump’s declaration comes about a month after Gov. Mike Dunleavy sent a letter asking for it. “He was very aware of what happened,” Dunleavy told reporters in a Thursday news conference. Several hundred investigators with the Federal Emergency Management Agency were heading to Alaska Thursday night, said Brig. Gen. Torrence Saxe, the state’s adjutant general and head of the Department of Military and Veterans Affairs. The investigators will be assessing damage in the coming weeks. The federal aid complements state disaster relief programs, which offer up to about $18,000 in grant money as well as housing assistance. Nearly 13,000 Alaskans had submitted applications for aid as of Thursday, Saxe said. The deadline to apply was recently extended to Feb. 28. Officials expecting the application volume to rise, Saxe said. Meanwhile, the federal aid is a separate application, said Jeremy Zidek, a spokesman with the Alaska Division of Homeland Security and Emergency Management. He said officials are encouraging Alaskans to apply for all programs that become available, because relief money is complicated. “What may not be eligible under one program could be eligible under another,” Zidek said. Residents and business owners with damage can apply for the federal assistance by registering online at DisasterAssistance.gov or by calling 1-800-621-FEMA(3362) or 1-800-462-7585 (TTY) for the hearing and speech impaired. The toll-free telephone numbers will operate from 7:00 a.m. to 9:00 p.m. (local time) seven days a week until further notice, officials said. Individuals can qualify for federal grants of up to $34,900 for property damage. State and local government, tribal organizations and some private nonprofits can qualify for federal funding for emergency repairs that were made to fix facilities, FEMA said in a statement. After contacting FEMA, homeowners and businesses can also qualify for low-interest federal disaster loans from the U.S. Small Business Administration. That includes loans up to $200,000 to repair or replace damaged real estate, and up to $40,000 to repair or replace damaged property, the agency said in a news release. The federal declaration should come as a relief for those who have been waiting for aid, said Karina Borger, a spokeswoman for Sen. Lisa Murkowski. But she said Alaskans will have to be patient a bit longer. “There are still steps to go through,” Borger said. For more information, read this fact sheet. Daily News reporter James Brooks in Juneau contributed.